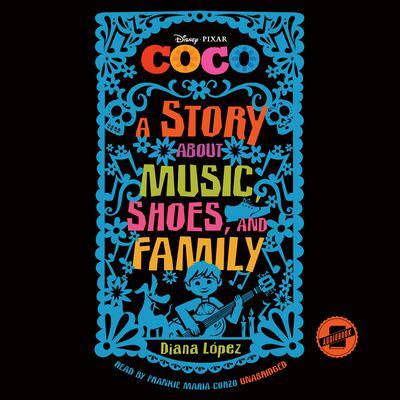 Inspired by Pixar Animation Studios’ latest film, Coco, this middle grade novel will retell the story of the film, as well as feature original content expanding upon its rich, vibrant world and characters. Disney•Pixar’s Coco is the celebration of a lifetime, where the discovery of a generations-old mystery leads to a most extraordinary and surprising family reunion. Directed by Lee Unkrich (Toy Story 3) and produced by Darla K. Anderson (Toy Story 3), Disney•Pixar’s Coco opens in US theaters November 22, 2017. Inspired by Pixar Animation Studios’ latest film, Coco, this middle grade novel will retell the story of the film, as well as feature original content expanding upon its rich, vibrant world and characters. Disney•Pixar’s Coco is the celebration of a lifetime, where the discovery of a generations-old mystery leads to a most extraordinary and surprising family reunion. Directed by Lee Unkrich (Toy Story 3) and produced by Darla K. Anderson (Toy Story 3), Disney•Pixar’s Coco opens in US theaters November 22, 2017.